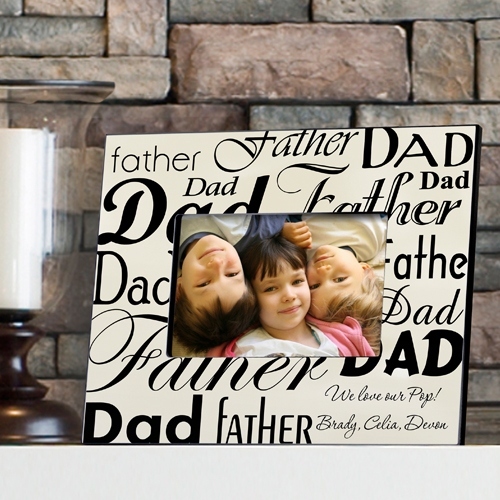 * This classy yet contemporary black and white Father's Day frame lets Dad know just how much you care. 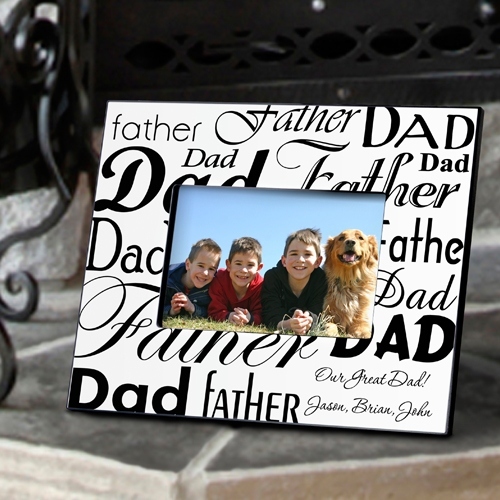 * Whether your dad is 35 or 85, he'll love the opportunity to display a photo of himself and the kids in this handsome frame. * Suitable for other occasions as well, such as birthdays, this frame fits any décor and can be personalized with two lines of text that you create yourself.